Strapping a toddler in for a 2 hour drive or longer could be compared to a tooth extraction. It’s not really on anyone’s wish list. Especially not the toddler’s! After all, it’s not their fault. Toddlers are in a developmental stage where they are programmed to be interested in movement. They want to crawl, wiggle and toddle around. Typically, travel greatly restricts movement, especially for toddlers who have to be stuck in a car seat. But, don’t abandon your summer vacation plans just because you have an infant or a toddler in the family! Your summer getaway is still possible. You just need to plan it well. If you have your heart set on a destination that’s far away or involves flights, you can give it a try, but you may prefer to opt for options closer to home. It’s simply easier. State parks, local camping grounds, nearby beaches, lakes and museums can make for great choices. Try to stick to locations within about 2 hours from home. That will make your travel time short and sweet, which will avoid making your toddler super cranky. The shorter the trip, the easier! Even a 1 or 2 hour car ride can be a long haul for a toddler. That means you should arm yourself with activities, snacks and distractions so that your child will be occupied while you travel. Try bringing books, favorite songs, crayons and paper for drawing, stickers, small cars and other favorite toys along. If your travels involve a flight, this same list of items apply. Just plan to run around a lot in the airport to get energy out before your flight. Use Picniic‘s shopping lists and to-do lists so that you don’t forget any essentials! You should also plan out a few pit stops along the way, even if you don’t end up using them. Know where you might be able to stop for a potty run if your child is toilet training (although a diaper for backup is always a good idea when traveling). These stops will also come in handy if you’re traveling with an infant and have to stop for a feed or to change a diaper. Another strategy is to plan to travel during typical nap times so your child will sleep most of the way to your destination. Most summer vacation destinations like the beach, lakes or parks are child-friendly. However, by adjusting your expectations, you can ensure that the trip is a success. Avoid planning too many activities in a day. Toddlers can get tired or cranky quickly, so you’ll also want to plan your days around your child’s snack and nap schedule. Laid back vacations such as visiting a cabin or the beach are often best. This way, you can simply enjoy being in nature and take breaks as you need them. Also, remember that what interests you and your toddler may be different. A shining example is the story of a mother who took her 2 year old to the zoo. However, the toddler became engrossed with watching a line of ants cross the path for a good ten minutes, even while surrounded by giraffes, lions and elephants! Try to be open to following your toddler’s interests so that everyone has a pleasant trip. If you enjoy hiking or being out and about, babywearing can offer much more flexibility than strollers typically do. 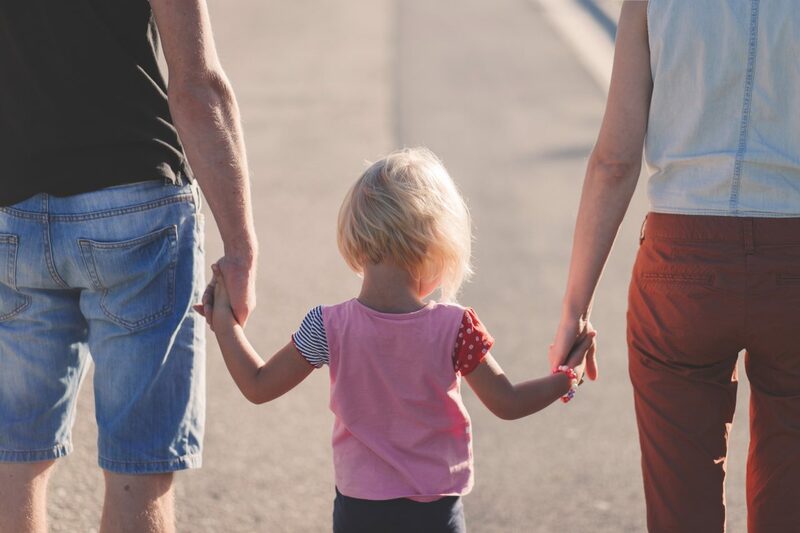 Especially if you won’t be in the city or a paved area, you may find that it’s easiest to split child wearing duties between a few adults so that no one gets too tired. Of course, your toddler may also prefer to amble along beside you. If you opt for babywearing, you’ll never be stuck pushing along a clunky stroller with no passenger. Pack n Play or Travel Crib: Not all hotels, cabins or other accommodations provide cribs. Make sure you know what to expect ahead of time so that you can pack accordingly. Some parents may be comfortable simply using a sleeping bag on the floor, while others prefer something more formal like a pack n play or travel crib. Snacks: Make sure you have your child’s favorite snacks on hand. Don’t count on a local grocery store having your child’s favorites, as they might be out of stock or simply not carry what your child is used to. Since your child is facing a lot of newness, you’ll want to make sure you aren’t facing a meltdown over the wrong snack. Lovey or Favorite Toy: If your child has a blankie or a favorite toy, take it along for the car ride and night time. You may want to avoid taking it with you on day trips or out and about so that it doesn’t get lost. However, having something familiar for night time and nap time will definitely be helpful. Blankets: Take a blanket with you that you can spread by a picnic table or on the beach for your toddler. Your little one will enjoy moving around and the freedom that the blanket provides. Baby’s Soap/Shampoo: Don’t forget to take along your baby’s special toiletry items. While you may be able to use what’s provided at a hotel or pick something on the way, you may prefer to use tear-free and child formulas for your baby. Sun Gear: Summer vacation equals sun! Make sure your baby’s young skin is protected with plenty of sun gear such as a hat, sunglasses and sunscreen. This is in no way an exhaustive list. Depending on where you’re going, you’ll obviously need to pack additional items for yourself and your child, including activities to keep them busy while traveling. Stay on top of your game plan using Picniic! You can create packing and to-do lists, use the calendar to plan your itinerary, use the family locator for peace of mind, and share photos within the app. Yes, traveling with a toddler or infant can be a challenge, but it’s so worth it! You’ll create many fond family vacation memories together and your child is sure to have a great time. With a little planning and some adjustments, your first family vacation with an infant or toddler can be a complete success!